By Atila Sos | Software Developer 20.08.2018. Looking at the image, the first thing that pops out is that the components are now organized into regions, they are represented by the colored and dashed rectangles on the image. By looking more closely, we can see that a region can have nested regions; for example, Products and Services are nested regions of the 4 Columns Layout region. 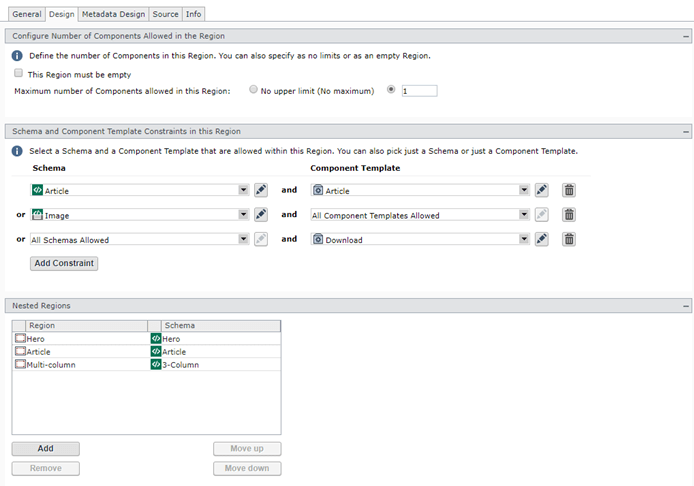 Another big difference is that there is no more component template information shown (directly). This is because component templates are not as important any more. 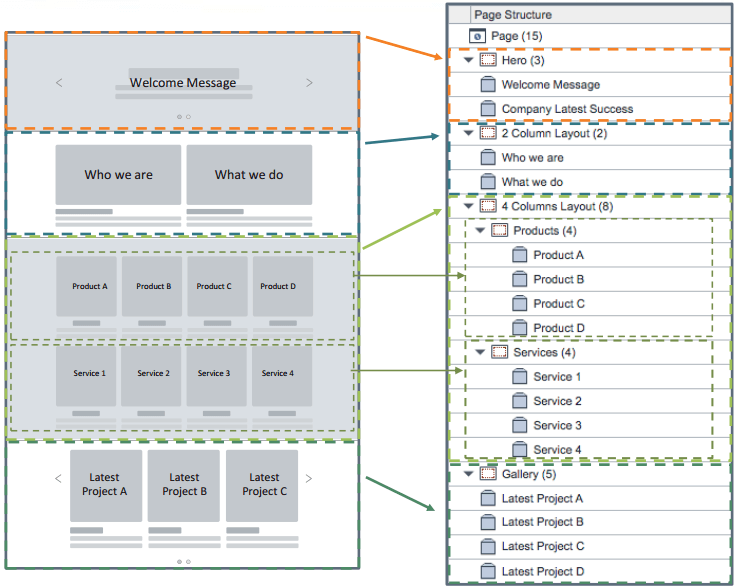 To be more precise, knowing which component template is used is not that important. All this is because each region can have a set of conditions which limits what can be added to it. The image below shows what the page designer in the CME looks like. Notice that there is no more Component Presentations tab, instead, there is a Design tab. By clicking each of the regions, you can add component presentations and metadata to them. 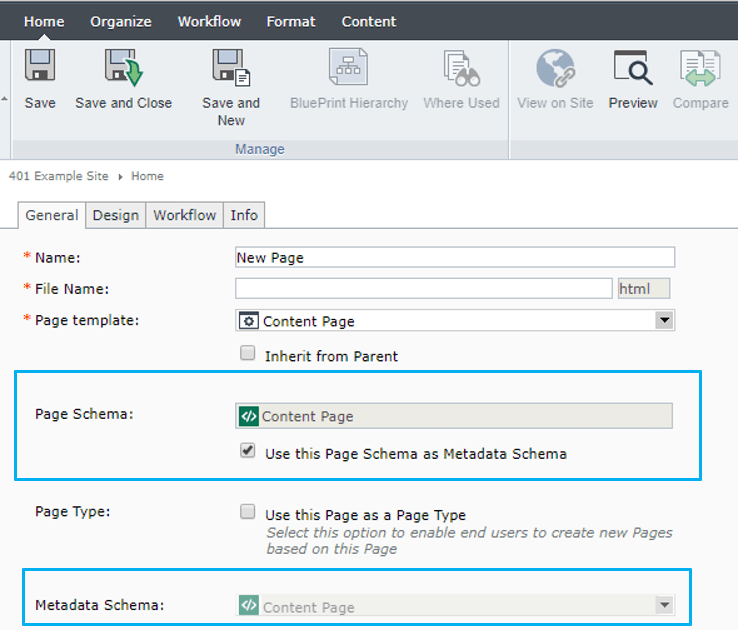 The new approach of assembling pages is also supported by the APIs, an example of creating a page using the CoreService is shown below. The FQN is useful for “addressing” specific regions from code. The constraints mechanism allows us to set up limitations for a region. There are two types of constraints, occurrence constraints and type constraints. Occurrence constraints define the maximum number of component presentations which can be added to a specific region. This allows for a special case when a region has no component presentation, but instead serves only as a container region (possibly with some metadata). Type constraints limit that only components based on certain schemas, or components in combination with only certain component templates are allowed. 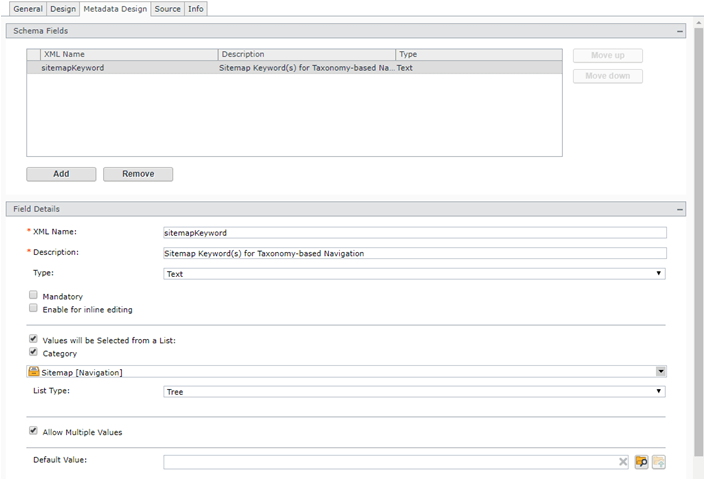 Both schema and component template can be limited, you can have only one type of type constraint, or neither of them. The constraints are automatically applied when browsing for a component. Those components which don’t match the schema constraint are greyed out, and the list of available component templates is also filtered out. In the case that only one component template is available for the given schema and component template constraint, it is pre-selected, which is a cute little feature :). A screenshot of the constraints is shown below. By effectively using the constraints we can limit, and at the same time also instruct, the content editor to use the proper component presentations. 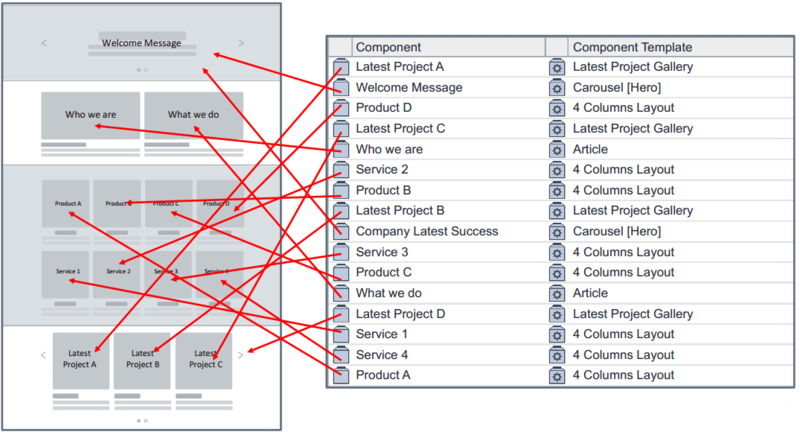 This is the reason why the component template information is not that important in the component presentation overview list (Design tab). This will be all for this week’s presentation, stay tuned for the last one :). As always, if you have any questions or would like to share your thoughts, don’t hesitate to get in contact. Disclaimer: All images are copied from SDL with their permission.